This post started out titled "10 Things I Love About Gurgaon," but sadly enough, I just don't love that many things about this city. I tried to be optimistic, but all I could come up with honestly was 6. So, here they are...not much, but not too bad either! 1. Full power backup actually means full power backup. The downside? I’ve become incapable of living without electricity for more than 45 seconds at a time. 2. The roads. You can actually drive on the wonderful new flyover packed section of NH-8 to get to almost anywhere in Gurgaon. Of course, once you’re off the highway, you’re back in traffic hell, but remind yourself of Delhi roads and thank your stars you’re driving in Gurgaon instead. 3. The malls have clean loos. And the shopping isn’t too bad either. 4. You can get midnight biryani at Park Plaza for Rs. 125 per head because that’s when some of the call center shifts let up and lots of hungry people are unleashed. 5. You can meet a perfect stranger and not be at a loss for something to talk about – there are always property prices to whine about – everyone has an opinion on that! 6. The city has no visible roots. Almost everyone you meet has come from some other city for work and can’t really lay a claim to the city as “theirs” or “not yours.” In a world full of possessive people, it’s nice to have a city no one seems to want to possess – at least on the surface. Ohh...I can't even count one thing I love about gurgaon..really. Counting 6 is a big deal! u get everything u can want. At a price, but all fruits are available in all seasons. Almost all the imported products are available. The only other place where i have seen such availability is Mumbai. The neighborhoods are usually not nosy. Almost all the apartment complexes have amenities like parks for children, club houses and swimming pools. No public transport means lots less pollution, though the autos making inroads into the DLF area has meant some level of pollution there. But there are still no buses on the interior roads, and very few trucks. Most of the community around u is also young people at or around your stage in life. Its an impromptu support group. I have four more things I love about Gurgaon. 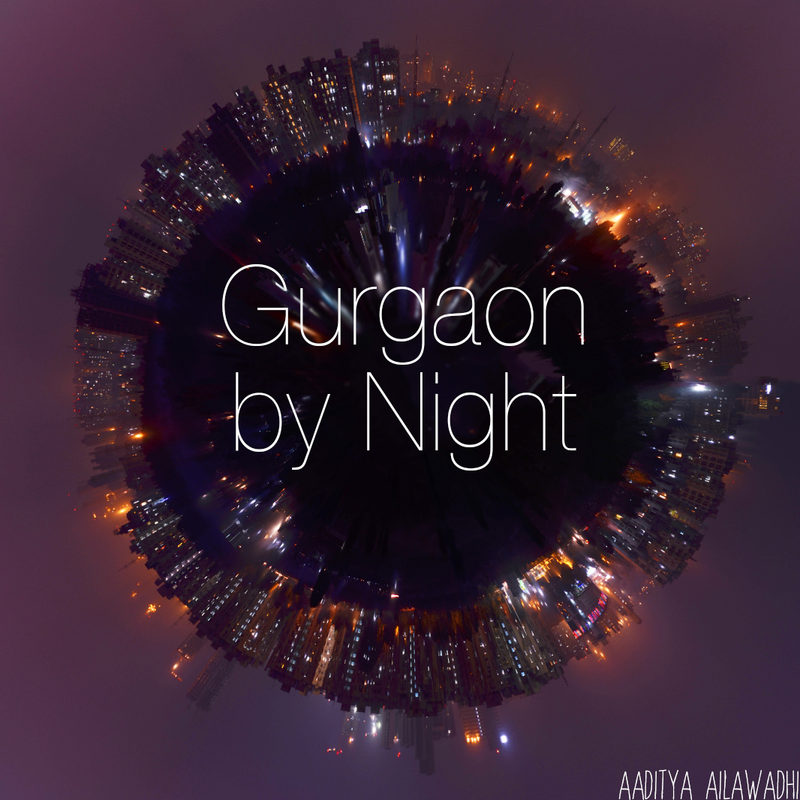 That makes it ten things in all to love about Gurgaon. We all know any list worth it's name starts with 'Ten things...'. Thank you for completing my list in the sweetest (and pretty accurate) way!! Would be thrilled for you to contribute more to this blog. Folks I believe there are quite a few goodies Gurgaon offers compared to Delhi or other cities, apart from just being a city of malls. 1. For one its got great job opportunitues consolidated in a small region so you are saved from the travelling hassels. Anyone living in Delhi and Mumbai would vet on that. 4. The housing is terrific. With best of properties and top builders around, its the best so far. 6. The amount of sports and recreational facilities is amazing. Even if one does not have sports facilities withing the building complexes, there are quite a few paid ones nearby. Do you get these within minutes reach in any other city. What I love is walking up and going for Tennis, without have to drive 15-30 mins to reach the court as in other cities. 7. The airport is close by. With our work getting more globalised, travel comes with it. So, thats a big advantage. 8. Living in gurgaon, almost everything is within 10-15 minutes drive ie hospitals, banks, hotels, restaurants, malls, schools. 9.The amount and rather variety of restaurants and food choices it offers. You get mediteranian, japanese and all varities in close vicinity. 10. With kingdom of India, the Theaters and plays would be coming in gurgaon aswell. Yes like any city in India, gurgaon equally has lot to improve on but let's give credit for some benefits it offers too.